Blissful setting and prime position situated within the Erinvale Golf Estate! If prime position and premium address within the Helderberg basin is what your looking for here it is. 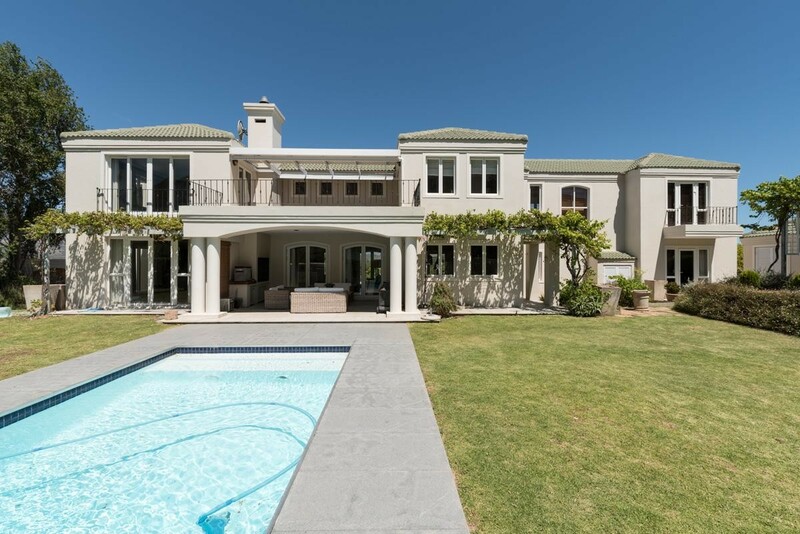 This 5 Bedroom residence situated within the acclaimed Erinvale Golf Estate ticks all the boxes and provides an abundance of luxuries for family living. Situated at the foot of the Helderberg mountain range and nature reserve, this sought after residence positioned at the pinnacle of Erinvale Golf Estate gives you five bedrooms all en-suite with multiple whilst covering a total of 550 square meters living space set over two levels. This property boasts expansive open plan living areas with all five bedrooms being en-suite of which four are upstairs and one downstairs which is ideal for a guest suite. The main en-suite has a walk in wardrobe with air conditioning and private balcony looking onto the beautiful nature reserve. Formalities to this home comprise of the follows, fully equipped chefs kitchen with gas burner and serving area, large living room with gas fireplace, covered entertainment patio with built in braai, private study, formal lounge with gas fireplace, enclosed wine cellar, stunning salt chlorinated pool, triple automated garage. If your looking for a premium lifestyle and residence to call home and have one of South Africa's top golf courses on your doorstep then this is where you'll want to be! For further information or viewing arrangements please feel to contact us. Meet Chris Clark - a resident agent servicing Somerset West and surrounds.